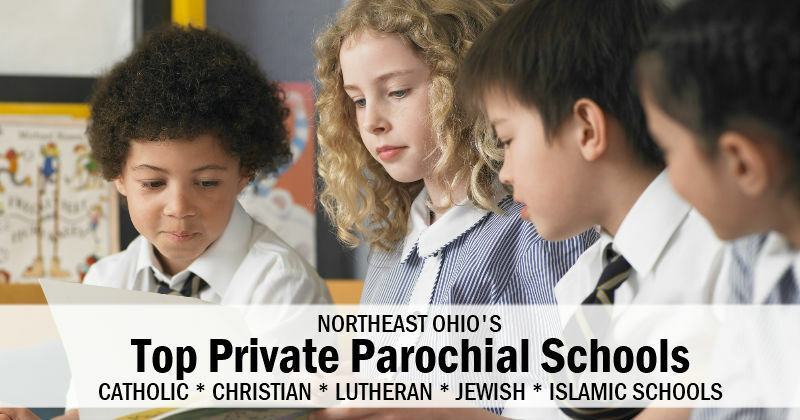 Find a Top Parochial School in Northeast Ohio - with Interactive Map! Find a Top Parochial School in Northeast Ohio – with Interactive Map! Interested in sending your child to a parochial school where they will grow in both faith and education? You're in luck because there are many great non-secular school option for various faith traditions, including: Catholic School, Christian School, Lutheran School, Jewish School and Islamic School. Use our parochial school guide to help you find a school that aligns with your families values. Private, Catholic school for boys and girls Grades 9 through 12. Private, Catholic, college preparatory high school for boys and girls. Private, Catholic, college preparatory school for girls Grades 9 through 12. Private, Catholic school for boys and girls Pre-Kindergarten through 12. Private, Roman Catholic school for boys and girls Grades 9 through 12.
rivate, Catholic school for boys and girls Pre-Kindergarten through Grade 12. Pivate, Catholic school for boys and girls Kindergarten through Grade 8. Private, Catholic school for boys Grades 9 through 12. Private, Catholic school for boys andgirls Pre-Kindergarten through Grade 8. Private, Catholic school for girls Grdes 9 through 12. Private, Catholic school for boys and girls Grades 9 through12. rivate, Christian school for boys and girls Kindergarten through Grade 8. Private, Lutheran school for boys and girls Grade 9 through 12.